Here’s the first in a series of five quick tip sheets for meeting and event professionals regarding food and beverage, site selections and handling professional speakers. It’s also a great resource sheet for those who must handle meeting logistics for their organization’s meetings and need some insight. Size of drinks can vary greatly among bartenders; ask bartenders to use a pouring-control system to contain costs. Many hotels and venues will let you order half-gallons based on your meeting. 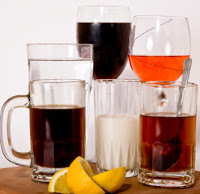 The amount that you may get for your beverages vary based on several factors; the amount and length of breaks, the time of year, you male-female mix and the type of event you are doing.